A San Jose man is suspected of seriously injuring another man in a fight over a gas pump in unincorporated Redwood City on Friday night. The victim was getting gas at the Quik Stop at 3401 Middlefield Road about 9 p.m. when he and the suspect, Jose Adolfo Castromartinez, started arguing, said Detective Rosemerry Blankswade, spokeswoman for the San Mateo County Sheriff's Office. The verbal battle escalated when Castromartinez, 23, repeatedly punched the victim, knocking him to the ground, Blankswade said. The victim was treated at a hospital, where a nurse reported the incident. The victim suffered serious but non-life-threatening injuries and was released from care. A witness and video surveillance footage captured Castromartinez's license plate number, and a records check revealed that later on Friday night, Castromartinez was arrested on suspicion of driving under the influence in San Jose by the California Highway Patrol. The CHP officer who made the DUI arrest said Castromartinez's clothing matched that of the suspect in the earlier gas pump assault and noted that he had fresh scratches on his face and neck area. 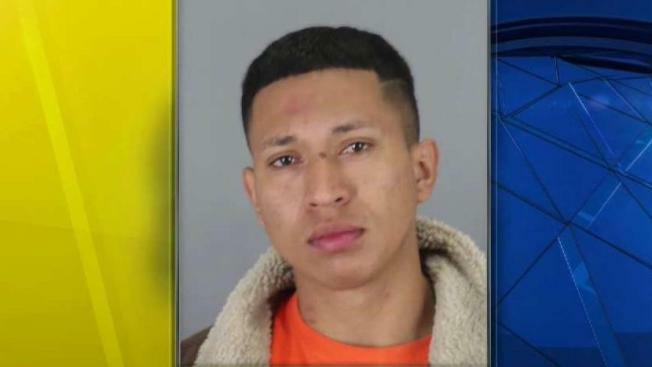 Castromartinez was moved from Santa Clara County Jail to the San Mateo County Jail, where he was booked on suspicion of assault with great bodily injury and aggravated battery.